Security experts are continuing to dig the leaked internal emails from the Hacking Team, the most recent revelation is related to the development of an unmanned aerial vehicle with the ability to run cyber attacks on computers and mobile devices through Wi-Fi networks. 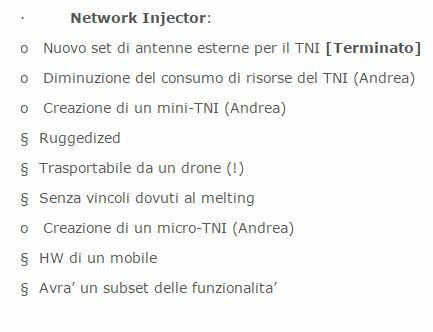 Reading the email exchange between hacking team personnel, it is possible to verify that both Boeing and Hacking Team were working to a new model ofdDrone to use as an attack vector. The unmanned aerial vehicle is described as a drone that can run cyber attacks on targets via WiFi, and the vehicle has the ability to inject spyware into target systems in order to spy on victims. According to the emails, after attending the International Defense Exposition and Conference (IDEX) in Abu Dhabi in February 2015, the company Insitu expressed its interest in the weaponized drones which was able to serve the spyware developed by the Hacking Team, the Remote Control System Galileo, for surveillance purpose. Despite the content of the email, there is no specific information in other emails on the possible customer for the hacking drones. 0The HackerNews speculate about the interest of the US intelligence community in the development of a hacking drone. Early in 2014, researchers as Sensepoint Security developed an application called Snoopy running on drones to steal users’ data, the software look for smartphone signal while it is searching for a WI-Fi network. The drone equipped with Snoopy software can trick mobile devices into thinking it’s a trusted access point, then the application can access data from the handset. According its creators, Snoopy was able to steal a huge quantity of information from victims, including user’s credentials, credit card numbers a location data. Researchers at Sensepoint successfully stolen Amazon, PayPal, and Yahoo credentials from random citizens in the streets of London.